No Wisconsin cases this month. Relocation case, UCCJEA, Waiver of residency requirement, Legal malpractice, Protective order, Duress and post-nuptial agreement and more. Sorry, but no Wisconsin cases for FLU this month — nothing published or even an authored unpublished case. Please watch my video below for my speculation as to why this is becoming the case more and more frequently. Trial court did not abuse its discretion in concluding that best interests of child were served by modifying custody arrangement and awarding sole legal and physical custody of child to ex-wife, even though ex-wife had moved to Ghana from the United Kingdom, where ex-husband refused to return child to ex-wife after he exercised summer visitation, prevented child from communicating with ex-wife, and enrolled child in school without ex-wife’s knowledge or consent, and ex-husband’s behavior had caused child to fear that she would not be returned to ex-wife. Mother adequately established that her proposed relocation to Texas with child was made in good faith; mother had extended family in the area, she was enrolled in a nurse anesthetist program in Texas, her fiancee lived in the area, and mother’s starting base pay as a nurse, without her additional training, would be higher in Texas. When mother did not return from Texas with child, father filed for divorce and sought temporary and permanent physical custody of child. Mother did not appear at the hearing and the trial court awarded temporary custody of child to father, finding that mother was making a “temporary sojourn” to Texas. Mother moved to vacate the order, which the trial court denied. Mother appealed. Held: Trial court lacked subject matter jurisdiction under Uniform Child Custody Jurisdiction and Enforcement Act (UCCJEA) to make initial custody award when Georgia was not the child’s home state. In light of the different purposes of alimony and child support, the Appellate Court improperly relied on the Supreme Court’s reasoning, with respect to modification of alimony orders, in Dan v. Dan, in determining that both alimony and child support orders were subject to the same modification requirements, and improperly concluded that ex-wife was required to show additional circumstances, beyond the increase in the ex-husband’s income, to justify modification of the child support award. Unlike when considering a request for the modification of an alimony order, the trial court may consider a substantial increase in the supporting spouse’s income, standing alone, as sufficient justification for granting a motion to modify a child support order to ensure that the child receives the same proportion of parental income that he or she would have received if the parents had remained together. After wife moved to Alaska with couple’s daughter, she filed for divorce. Held: Although nothing in record suggested that husband and wife had ever resided in Alaska as a married couple, as required for personal jurisdiction to exist to divide marital property of a nonresident under long-arm statute, jurisdiction did exist because husband waived the defense; though husband had expressed concern about wife’s move to Alaska with their daughter, he did not tie this concern to the court’s authority to hear the action, never argued that the superior court lacked jurisdiction, and never mentioned concerns about his lack of contacts with the state. Former wife brought legal malpractice action against attorney and law firm, asserting claims for negligence, breach of fiduciary duty, and conspiracy to commit fraud arising out of their assistance of husband in effectuating an allegedly wrongful transfer of real property from marital estate to a residential trust before the divorce. 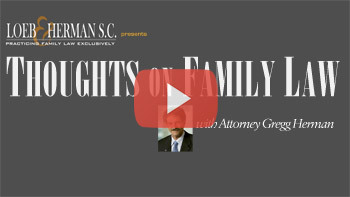 Held: Former wife’s legal malpractice claims against attorney and law firm, including claims for negligence, breach of fiduciary duty, and conspiracy to commit fraud arising out of attorney’s assistance of husband in effectuating an allegedly wrongful transfer of real property from the marital estate to a residential trust before the divorce, were community property, rather than wife’s separate property, and thus wife was required to pursue such claims in the divorce proceeding; wife sought compensation for “lost valuable rights and interests in community property,” rather than any bodily injury such as pain and suffering. Husband filed petition for dissolution of marriage. The Circuit Court entered judgment for dissolution of marriage that included a marital settlement agreement under which husband retained his ownership interest in a corporation. A year and a half later the parties remarried, and wife signed a prenuptial agreement that disclosed that husband had significantly greater assets than were reflected in the dissolution judgment. A few years later husband again filed a petition for dissolution of marriage, and wife filed petition to vacate the first judgment of dissolution on the ground that husband had fraudulently concealed the value of his interest in the corporation as well as his plan to sell the interest, which he did two hours after the first dissolution judgment was entered. The Circuit Court dismissed the petition for relief from judgment on the ground that wife failed to exercise due diligence in bringing it. Wife appealed. Held: Prenuptial agreement that former wife signed before remarrying former husband, which showed that husband had substantially greater assets than had been identified in the first dissolution of marriage proceeding, did not put wife on notice that husband had fraudulently concealed assets in the first dissolution and, thus, did not establish wife’s lack of due diligence in seeking relief from the first dissolution judgment on the basis of such fraudulent concealment, which she did not do until parties were engaged in second dissolution proceedings; husband’s assets could have increased in the year and a half between first dissolution and signing of the prenuptial agreement. Statute making it a crime to violate a protection order entered under specific statutes, including orders that are entered while a divorce action is pending and before final judgment, does not apply to protection orders entered in a divorce case after the divorce decree has been entered. Thus, where a no-contact order is entered after entry of divorce decree, the order cannot serve as basis for criminal charge under statute making it a crime to violate a protection order. As a matter of first impression, maintenance statute provision stating that, after using formula to determine maintenance amount under guidelines, that amount plus the recipient’s gross income “shall not” result in the recipient receiving more than 40% of the combined income of the parties does not establish a cap on maintenance; while court must consider the guideline formula and make findings concerning the relevant statutory factors, after it has done so, the court, in its discretion, may award maintenance that exceeds the guideline formula amount if circumstances warrant it. Trial judge did not impermissibly delegate judicial authority by allowing parties to submit child support modification dispute to binding arbitration, where parties filed joint motion to submit claims to binding arbitration. Postnuptial agreement was not rendered procedurally unconscionable by purported duress arising from fact that, at time initial agreement was executed, wife had threatened to leave husband and take parties’ child with her out of state unless husband signed agreement; postnuptial agreement was not rendered procedurally unconscionable by fact that husband was not represented by counsel during negotiation and execution of agreement; wife offered sufficient consideration for what husband gave up in postnuptial agreement; and postnuptial agreement was not rendered substantively unconscionable by fact that agreement’s maintenance provision required husband to pay wife 30 percent of his gross income permanently, modifiable only upon wife’s death or remarriage. The trial court erred in its attempt to unbundle child support amount from the original unallocated alimony and child support order; the court incorrectly used the guidelines in effect when the judgment of dissolution was originally opened and modified to allow former husband to purchase certain property from former wife, which did not relate to or modify the unallocated alimony and child support order, incorrectly used the parties’ current financial affidavits to determine the combined net weekly income, erroneously attributed the presumptive minimum child support amount to each child rather than attributing the amount to all three children, and failed to consider the deviation criteria, rather than simply relying on the guidelines schedule setting the presumptive minimum child support amount. Wife’s cessation of cohabitation with boyfriend one month after husband moved to terminate his alimony obligation did not warrant departure from property settlement agreement under which alimony would terminate upon wife’s cohabitation with another. The divorce rate among couples 50 and older has soared. The number of individuals who are adults when their parents divorce is climbing with it. Yet the vast majority of recent research, and subsequent counseling, for divorcing couples is focused on young children.